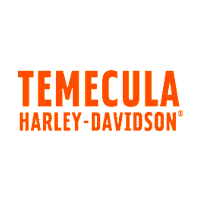 Legendary in the motorcycle world, with tons of power and classic style, with Sportster® motorcycles for sale here at Temecula Harley-Davidson near Murrieta and Escondido, California, you can choose from the full lineup of Harley® Sportster® bikes! Come down and take one of these bikes for a ride around the block! Base price $7499 added dealer markup $589, total price $8088 plus DOC, tax, electronic filing and license. All financing with approval of credit. All bikes subject to prior sale, pictures may differ from actual bike, please inspect prior to purchase, mileage, equipment and condition may change. Prices subject to change without notice. *Base price $7699 added dealer markup $589, total price $8288 plus DOC, tax, electronic filing and license. All financing with approval of credit. All bikes subject to prior sale, pictures may differ from actual bike, please inspect prior to purchase, mileage, equipment and condition may change. Prices subject to change without notice. *Base price $7999 added dealer markup $589, total price $8588 plus DOC, tax, electronic filing and license. All financing with approval of credit. All bikes subject to prior sale, pictures may differ from actual bike, please inspect prior to purchase, mileage, equipment and condition may change. Prices subject to change without notice. The Harley-Davidson Sportster Seventy-Two is designed to be evocative of the chopper era of the early 1970s. All of the visual clues are there, including a 2.1-gallon Peanut tank, mini-ape handlebars, a 21-inch front hoop (16 in the rear), lace wheels, whitewall Dunlops, and a healthy dose of chrome. *Base price $8599 added dealer markup $589, total price $9188 plus DOC, tax, electronic filing and license. All financing with approval of credit. All bikes subject to prior sale, pictures may differ from actual bike, please inspect prior to purchase, mileage, equipment and condition may change. Prices subject to change without notice. Base price $9399 added dealer markup $589, total price $9988 plus DOC, tax, electronic filing and license. All financing with approval of credit. All bikes subject to prior sale, pictures may differ from actual bike, please inspect prior to purchase, mileage, equipment and condition may change. Prices subject to change without notice. *Base price $9899 added dealer markup $589, total price $10488 plus DOC, tax, electronic filing and license. All financing with approval of credit. All bikes subject to prior sale, pictures may differ from actual bike, please inspect prior to purchase, mileage, equipment and condition may change. Prices subject to change without notice. *Base price $10799 added dealer markup $589, total price $11388 plus DOC, tax, electronic filing and license. All financing with approval of credit. All bikes subject to prior sale, pictures may differ from actual bike, please inspect prior to purchase, mileage, equipment and condition may change. Prices subject to change without notice. *** Ultra low mileage 48 SAVE $$$'s over new. Fresh THD service, EZ $0 down financing with approval of credit *** Base price $10999 added dealer markup $589, total price $11588 plus DOC, tax, electronic filing and license. All financing with approval of credit. All bikes subject to prior sale, pictures may differ from actual bike, please inspect prior to purchase, mileage, equipment and condition may change. Prices subject to change without notice.